Reynolds American, the nation’s second-biggest tobacco company, saw its fourth-quarter profit fall 54 per cent on pension and trademark-related charges and other costs. But earnings for the maker of Camel, Pall Mall and Natural American Spirit cigarettes, excluding one-time charges, rose about 6 per cent as consumers bought more smokeless tobacco brands like Grizzly and Kodiak. Smokeless tobacco sales, as well as higher prices and productivity gains, offset cigarette volume declines and increased promotional spending. Reynolds American Inc., based in Winston-Salem, NC, said its net income fell to $139 million, or 25 cents per share, for the three-month period ended Dec. 31, down from $304 million, or 52 cents per share, a year ago. Adjusted earnings were 76 cents per share, beating Wall Street expectations by three cents. Citi analyst Vivien Azer said Reynolds had a “solid finish in a tough competitive environment,” in a note to investors. The number of cigarettes sold by its RJ Reynolds Tobacco Co. subsidiary fell about 3 per cent during the quarter to 17.1 billion, compared with its estimate of a total industry decline of less than 1 per cent. It sold 5.5 per cent more of its Pall Mall brand and volumes of Camel fell slightly. The brands account for more than 60 per cent of its total cigarette volume. Camel’s market share remained stable at 8.6 per cent of the US market, while Pall Mall’s market share grew 0.3 percentage points to 8.9 per cent. The company has promoted Pall Mall as a longer-lasting and more affordable cigarette for smokers who are weathering the weak economy and high unemployment. The company has said that half of the people who try the brand continue using it. The number of Santa Fe Natural Tobacco Co.’s Natural American Spirit cigarettes it sold grew more than 20 per cent to about 800 million. Reynolds American and other tobacco companies are focusing on cigarette alternatives such as snuff and chewing tobacco for growth as tax hikes, smoking bans and social stigma make the cigarette business tougher. Volume for its smokeless tobacco brands rose 7 per cent compared with a year ago. The brands had a 32.6 per cent share of the US retail market, which is tiny compared with cigarettes. Company shares slipped 82 cents to $43.40 in premarket trading. Philip Morris USA said Tuesday that it and other tobacco companies have reached an agreement with 17 states to settle a long-running dispute over how much money the companies must pay under the 1998 national tobacco settlement. Under the agreement announced late Tuesday, the states, including Virginia, each will receive their share of about $4 billion that was paid into a disputed payments account. In return, Philip Morris USA, R.J. Reynolds Tobacco Co. and Lorillard Inc. will receive credits against future payments to the states. In 1998, Henrico County-based Philip Morris USA, the maker of Marlboro cigarettes, and other major cigarette companies agreed to pay $206 billion to 46 states, including Virginia, over 25 years to cover smoking-related health care costs. Virginia’s share was estimated at about $4 billion. So far, the states have received about $85 billion, but a dispute arose over how much the payments should be adjusted as a result of the major cigarette companies losing market share to competitors that did not join the settlement. The dispute has been in arbitration. Philip Morris USA, a subsidiary of Henrico-based Altria Group Inc., said it will authorize the release of about $190 million of the $458 million that it has paid into the disputed payments account to the states that are part of the deal announced Tuesday. The company said it is prepared to continue arbitration with other states that were not part of the new agreement. The company said it would receive an estimated reduction in its settlement payment obligations of about $450 million, but that amount could change depending on a variety of factors. The states participating in the settlement are Alabama, Arizona, Arkansas, California, Georgia, Kansas, Louisiana, Michigan, Nebraska, Nevada, New Hampshire, New Jersey, North Carolina, Tennessee, Virginia, West Virginia and Wyoming. In addition, the settlement includes Puerto Rico and the District of Columbia. Higher prices may succeed where peer pressure, public service announcements and medical research fail to thwart youth tobacco use, according to state officials who are looking to raise the cost of smoking, or chewing or dipping. “We know that these products get your attention, young people’s attention, because the price is so affordable,” said Interim Commissioner of Public Health Dr. Lauren Smith, holding up 69-cent single-wrapped cigars in the flavors of grape, white grape and blueberry, while speaking to a group of student activists who are mobilized against tobacco. Legislation filed in the House and Senate would increase the cigarette tax by $1, raising it to $3.51 per pack, a policy that Gov. Deval Patrick is attempting to enact. Lawmakers are also seeking to broaden the definition of smokeless tobacco and increasing the taxes on those products as well. “Obviously we’re opposed to that tobacco tax increase,” said David Sutton, a spokesman for Altria, the parent company of tobacco manufacturer Phillip Morris. Sutton told the News Service the proposed tax increase could have “unintended consequences” of driving sales to New Hampshire, or creating an opening for organized crime selling black market cigarettes. Sutton dismissed the argument that raising the price of cigarettes would discourage youths from smoking by saying that youths are already prohibited from buying cigarettes and that Massachusetts retailers have a high rate of complying with the age restriction. He said because of the falling sales of cigarettes states tend to overstate the value of a cigarette-tax, and said the tax would be borne by adult smokers. She’s in high demand as a DJ at the hottest parties and nightclubs. 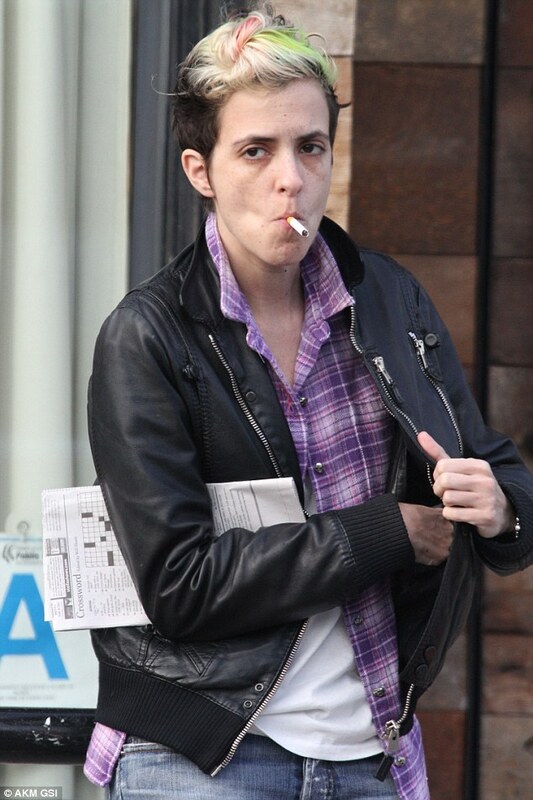 And it seems the constant late nights are taking their toll on Samantha Ronson. The 35-year-old was spotted with dark rings under her eyes and a scruffy appearance as she stood outside a cafe smoking Marlboro Red on Thursday in Venice, California. Lindsay Lohan’s former girlfriend stood outside restaurant Gjelinas reading a newspaper while a cigarette dangled from her mouth as she enjoyed the sunny afternoon. Find out the most popular cigarette brands among other smoking celebrities. British American Tobacco Korea said yesterday that it would make its Vogue cigarettes cheaper to WON2,300 from WON2,500 per pack beginning March 14, according to a story in The Korea Times. There are three products under the Vogue brand name – Vogue 1 mg, Vogue Bleue 1 mg and Vogue 0.3 mg.
“We believe the price reduction will provide more choice for consumers who are seeking high quality products at a more affordable price range,” said Guy Meldrum, CEO of BAT Korea in Seoul. The story said that Vogue, which made its debut in Korea in 2004, was a super slim cigarette brand that had introduced charcoal filters to the local market.